Sorry, Aladdin. Everyone's rooting for "hot Jafar" Marwan Kenzari. Sorry, Aladdin. But 'hot Jafar' might just make Disney fans root for evil. Fans have been given their first look of Disney’s live-action Aladdin remake cast in costume and there’s just one problem. 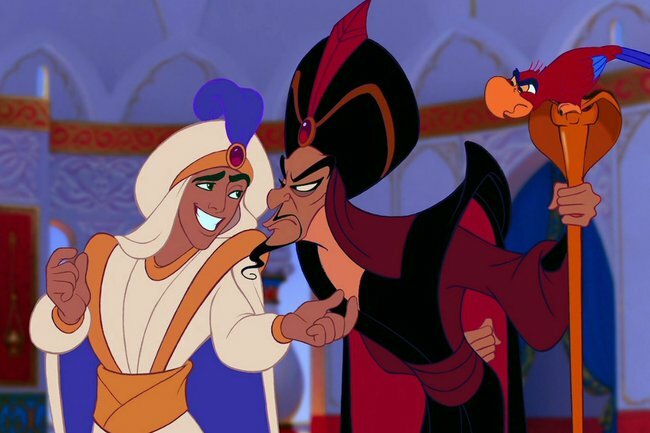 They’ve made Jafar too… hot. Yep, the conniving, manipulative villain of the 1992 classic has been brought to life by the incredibly good-looking Dutch actor, Marwan Kenzari. And it’s unsettling because Disney villains aren’t supposed to be good-looking. Disney fans voiced their confusion on Twitter, with many accepting that they would simply have to watch the 2019 film hoping for Jafar to win now. Marwan Kenzari’s in-costume look was unveiled by Entertainment Weekly along with the rest of the main cast, including Mena Massoud, and Naomi Scott, who play Aladdin and Princess Jasmine. We also got to see Will Smith as the Genie, complete with topknot and goatee. Fans were a tad concerned that Smith wasn’t blue, as he was animated when voiced by Robin Williams in the original. However, director Guy Richie assured EW that the Fresh Prince actor would be blue in the final cut – which isn’t quite finished yet. Aladdin will hit theatres in May 2019.